I mentioned in my post a few days ago that I was doing a different eating and workout routine. Let’s talk about that, shall we? I tend to get bored easily. With hair routines, workout routines, doing the same thing day in day out at work – guess who’s a typical Gemini? So when my lifting routine was no longer giving me the results I was looking for, I began searching around, seeing what else was out there. 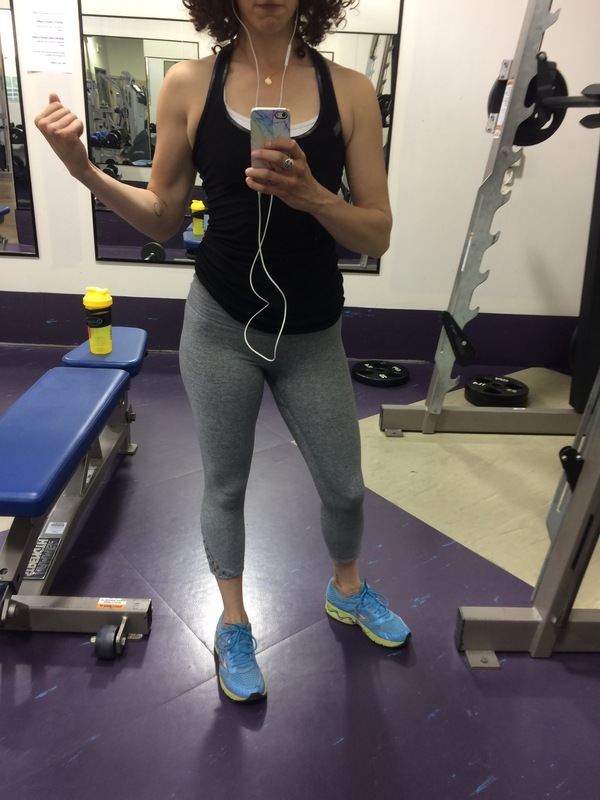 I wanted something to build a booty, but also something to ‘up’ my fitness overall – I wanted to be stronger, faster, healthier than ever before! In doing my research, I stumbled across Canadian fitness guru Lyzabeth Lopez. I already followed her on Snapchat (@lyzabethlopez) where she showcases what she eats, different workouts she’s doing, and various trips and photo shoots. I immediately liked her because she doesn’t sell me anything – she’s not paid to endorse any products, and she tends to go for holistic, nutritionally dense meal options (she has a nutritionist background, as well). Why not? I purchased her plan on sale around Christmas, and it came with 20 different (super challenging!) workouts as well as a meal plan of my choose (I opted for vegan). Although the vegan options leave a little to be desired, I immediately fell in love with the workouts and how varied they are. I learned new moves! New ways to use the machinery and equipment! And, most importantly, after a short time I could see my body changing. Granted, I’m not the most consistent dietary person – if you put that bag of candy in front of me, I assure you that I will eat it. I’m all about balance, but also find it tricky to get enough protein while avoiding animal by-products entirely. I’ve since snuck eggs back into my diet, but sometimes I really miss out on that Greek yogurt action. So, what do you do to stay healthy and trim? Got any go-to workouts lately?